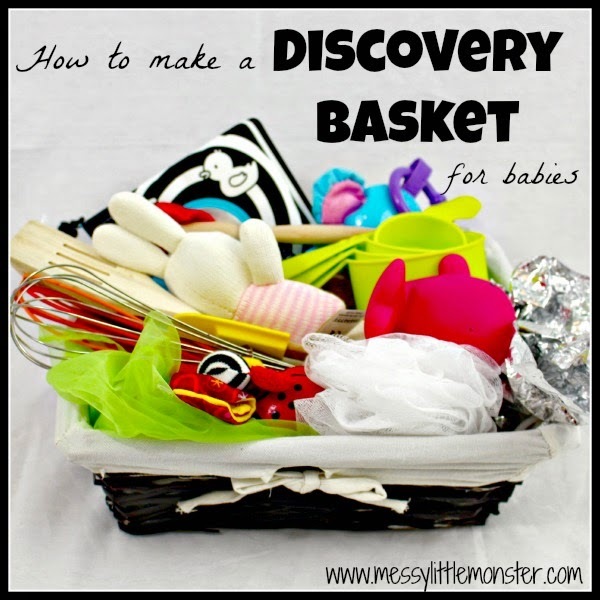 Discovery (or treasure) baskets only take a few minutes to make and they don't involve buying anything new, yet they are loved by babies who are desperate to explore their world. 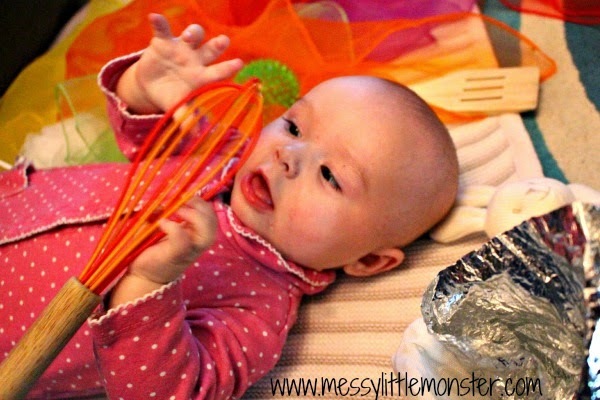 Whilst playing with a treasure basket babies are safely able to use their senses to make new discoveries. 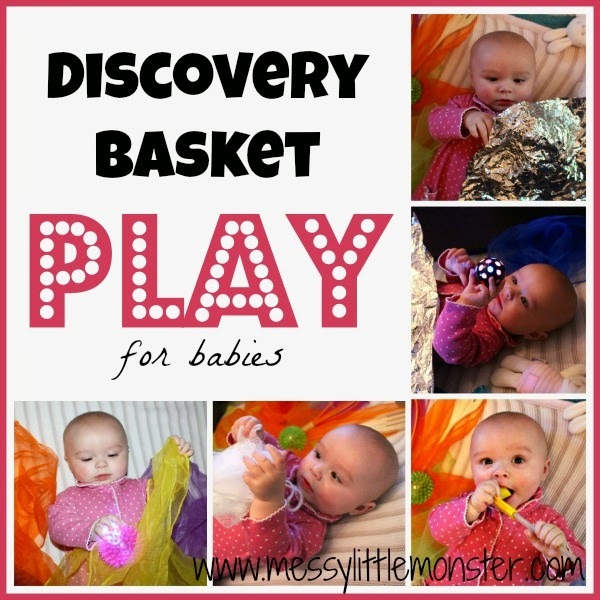 Discovery baskets are simply baskets full of everyday objects which you think your baby would enjoy discovering. 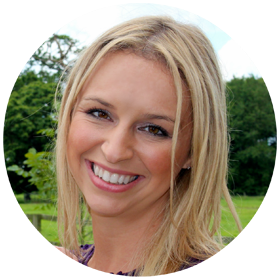 Click here to find out what to put in a discovery basket. 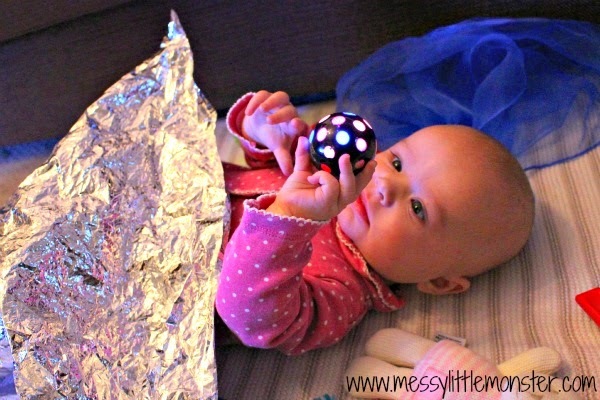 Before getting out your discovery basket its important to make sure your baby is alert, fed and happy so they can get the most out of the activity. 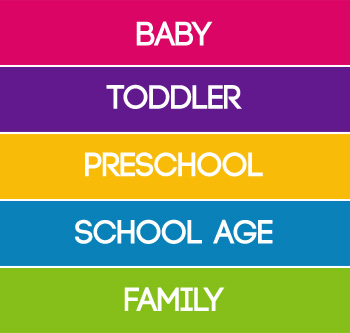 Babies are very good at letting us know when they are not ready or have had enough so follow your babies signals. 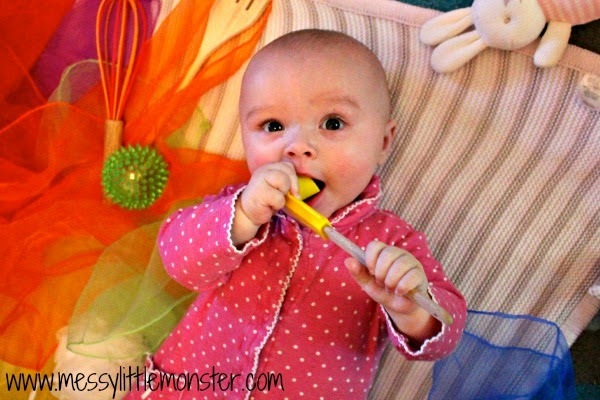 Either put the discovery basket in front of your baby if they are sitting up or place a few selected objects within your babies reach if they are still lying on the floor (like Daisy who is 4 months old). 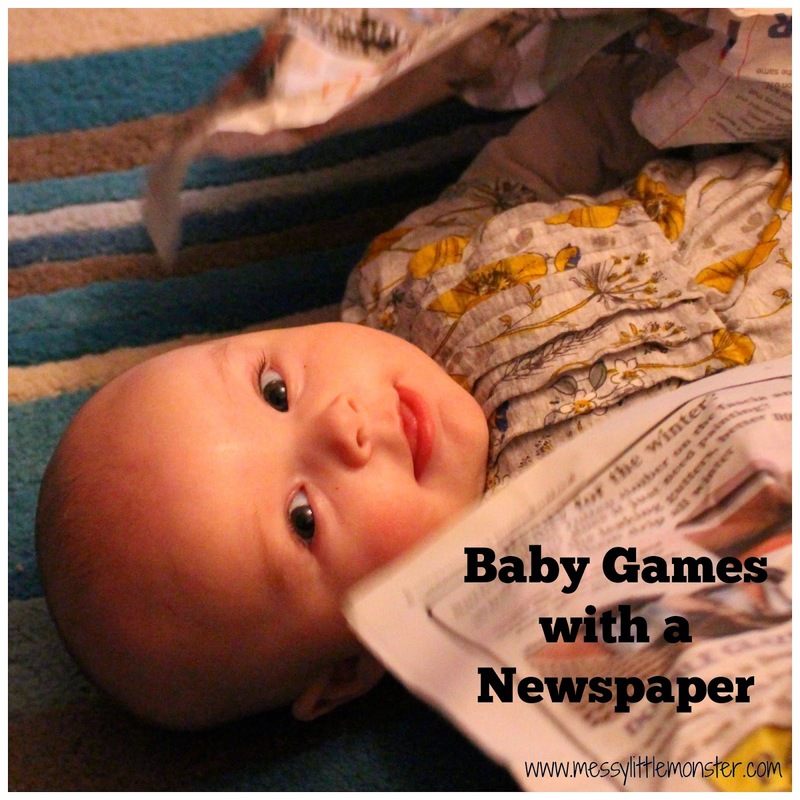 Then let your baby use their hands, feet and mouth to discover the objects in their basket. 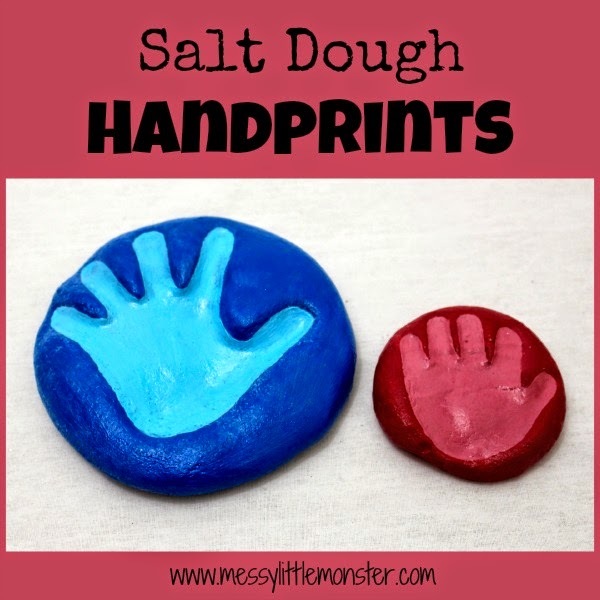 Let them select objects to grab, pick up, drop, squeeze, munch, and shake. 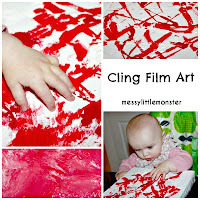 Let them explore the different textures, sounds and colours. 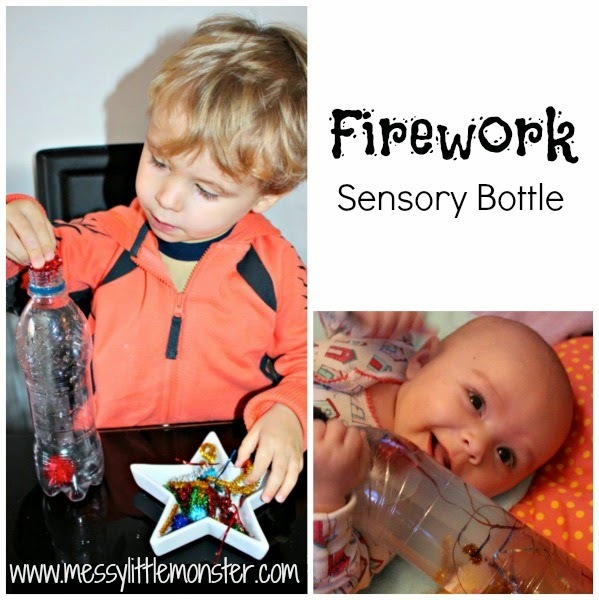 Its important to be there to make sure your baby is using the objects safely, but let them discover the objects themselves and explore them in the way they choose. Daisy loves being on the floor on her back so I tend to lie her on a blanket and place objects around her for her to explore. 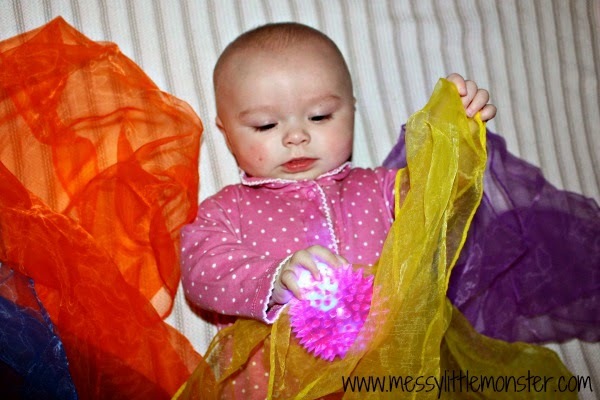 She is close to rolling but can't go completely over yet so I put them close by and she loves choosing and grabbing the objects that catch her eye. ......and turning them around to look at them from all angles. Everything finds its way to her mouth. 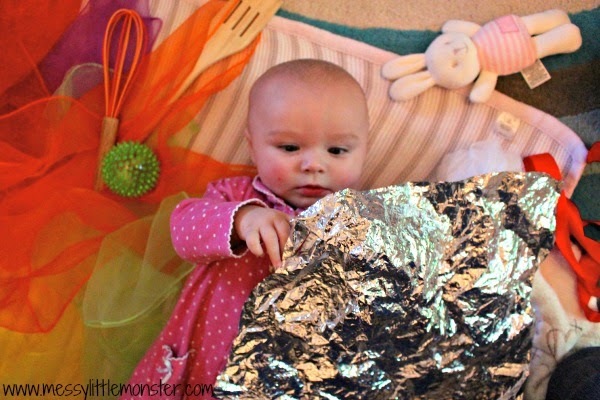 The scrunchy foil blanket is a definite favourite. 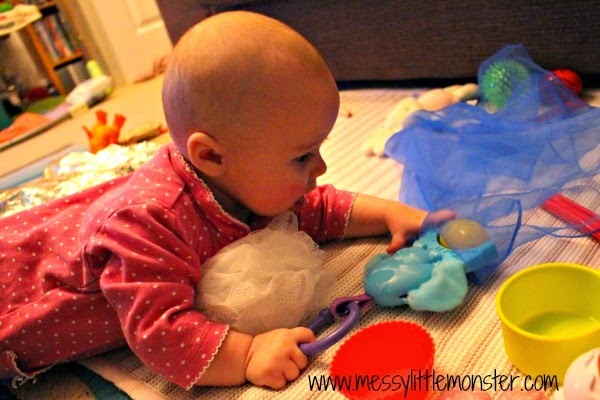 Daisy is not keen on tummy time, but putting objects from her discovery basket in front of her does encourage her to spend a bit longer on her tummy.